A chance encounter with a nearly 140-year-old Swiss music box has led professor of music W. Anthony Sheppard to a major discovery about two of the Italian composer Giacomo Puccini’s most well-known operas. 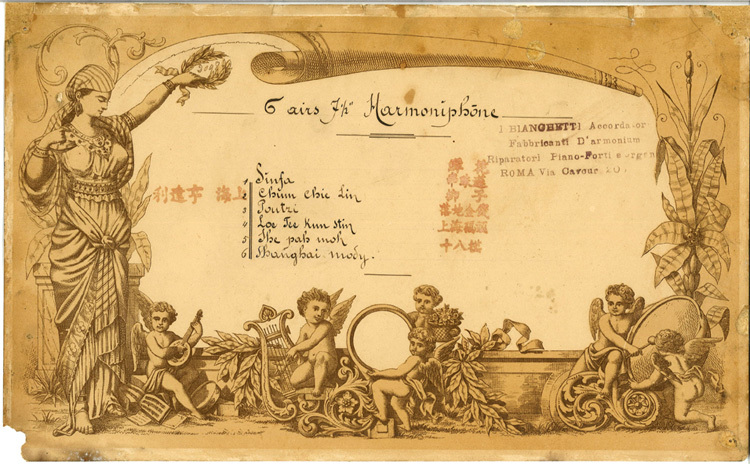 Listening to the music box, a harmoniphone with six Chinese folk tunes pinned to its cylinder, Sheppard had only the vaguest thought that there might be a connection to Puccini. He instantly recognized one of the melodies from Turandot, on its own “exciting enough,” he says. The opera, set in China, was written in the 1920s, but Puccini died before its completion. Listening further, Sheppard was surprised to recognize two melodies from Puccini’s most famous opera, Madama Butterfly, which premiered in 1904 and was set in Japan. Scholars have long held that Puccini was devoted to writing music that authentically represented the regions in which his operas were set. 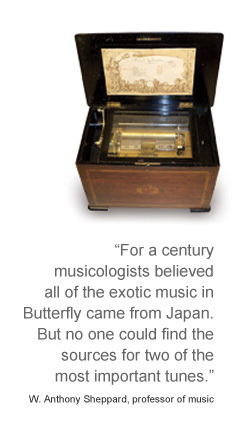 And so, Sheppard says, “For a century musicologists believed all of the exotic music in Butterfly came from Japan. But no one could find the sources for two of the most important tunes”—the very tunes on the music box in the museum. Sheppard set aside a book project he was working on and spent 18 months researching the music box and its links to Turandot and Madama Butterfly. Using the tune card, which he says was his “Rosetta Stone,” he tracked down the original Chinese folk tunes and lyrics. The information confirmed his suspicion that Puccini had chosen these two songs specifically to represent his character Butterfly’s eroticism and her memories of her father. Meanwhile, Sheppard determined from other markings on the tune card that the music box was crafted in Switzerland and sold in an upscale store in Shanghai. Following the Boxer Rebellion, it likely was brought to Italy by Baron Edoardo Fassini Camossi. Sheppard suspects that Puccini visited the baron’s brother while writing Butterfly, and the composer’s letters from that time indicate that he was struggling to find enough music from Japan for the opera. The likelihood that the music box Puccini had listened to in the Fassini Camossi home was the exact box in the Morris Museum became a near certainty when Sheppard made another discovery. 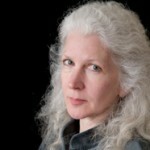 He loosened two screws that held the lid over the music box’s cylinder and bellows. On the inside were a drawing of a young woman and, Sheppard says, “writing that looked like someone’s idea of fake Asian characters.” The handwriting and sketches appeared to match those Sheppard found researching Puccini’s manuscripts for Madama Butterfly this past summer. And the drawing of the woman was Puccini’s likely vision for Butterfly. 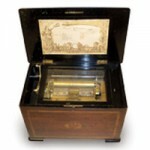 Learn more about Sheppard’s discovery and see and hear the music box.